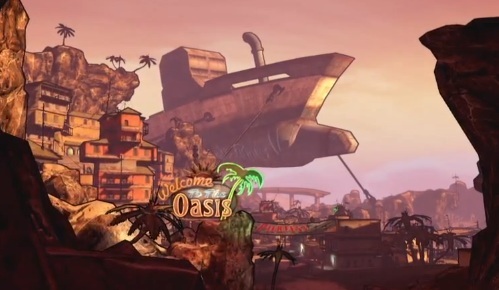 The launch trailer for the first Borderlands 2 campaign DLC is live. "Captain Scarlett and Her Pirate's Booty" will be availble for download later today. Wait, wait. Let me go check one of my video game playing machinges... Still there? Wait just a sec. It's doing it's thing. Menus... Loading... Let's see. Oh look. Five billion Rock Band songs. From what I can see, no, it's not up yet. Good thing I have this trailer to tide me over. You can watch it, too! So just to be clear, it's Borderlands 2 - with pirates, and booty. Awesome. Totally awesome to the max. 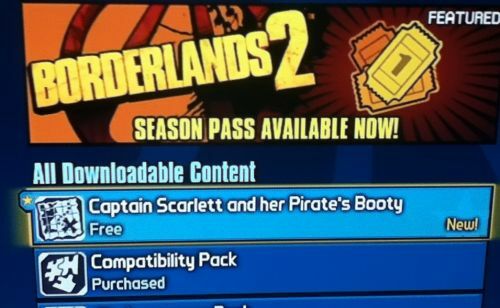 "Captain Scarlett and Her Pirates Booty" is the first campaign DLC for Borderlands 2. It should be available today on the Xbox 360, PlayStation 3, and PC. It will set you back 800 MSP, or $10. This new content is also available through the Borderlands Season Pass, which will get you the four campaign expansions for 2400 MSP, or $30 (basically a buy three, get one free deal). If you're still on the fence about the DLC, or if you haven't finished the game yet because you have things like a job, a social life, and a family - don't worry your pretty little head. We'll have our impressions up soon so you can make an informed purchasing decision. Now, if you're like me, and you've finished the game a few times, (despite your job, social life, and family) "Captain Scarlett and Her Pirates Booty" should add around eight hours to your Borderlands 2 experience. Of course, add in True Vault Hunter Mode, then playthrough 2.5, and of course you have to complete it with each character... so that's roughly 120 hours of gameplay. If you're a crazy person. You're not a crazy person are you? What's that you say? You are a crazy person? Do you see shield and health meters everywhere you go? Can you no longer count past the number 27? Well then, you know what you need? More Borderlands 2! One way you can get your fix is by re-specing your character on the go. Here's a link to a handy Android App which will let you tweak your builds to your heart's desire. Go nuts. No one will know. Except me. Let me check one more time. Oh look. It's up. Let's do this.